It is a time of Deepavali, Indian New Year. Asian Passion Event invited Ms.Lisa Itagaki,famous movie star in India. Beautiful Wedding Dress, this is a picture Mako is making now. 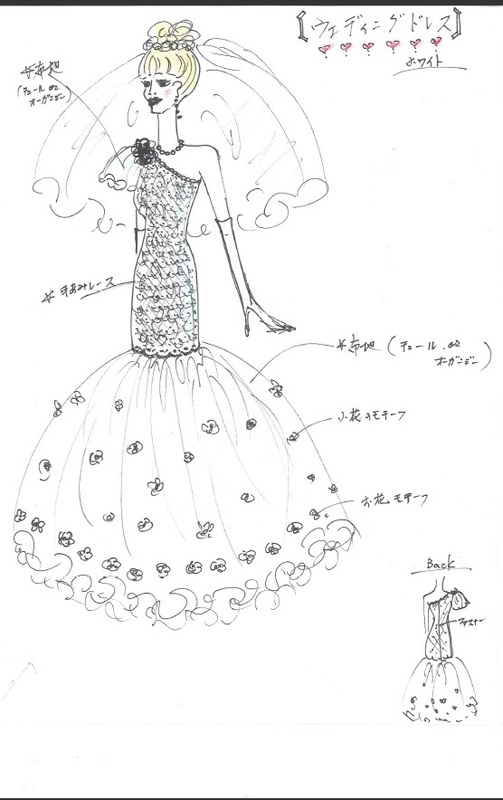 The dress was designed by Ms.Maiko Sumi. Ms.Sumi has been supported Mako for over 30 years. Ms.Sumi is a wonderful Fashon Coordinator (Stylist) and total creative advisor for Mako. She is a great Hand Made Craft Creator ! She choose the best dress for Mako and also she made (Sew ro Knit) original dress for Mako. She also good at cooking and table setting. But she supports Mako using digital technology. Mako and I went to Ms.Chiharu Takahashi's wonderful Hawaiian Quilt Exhibition in Tokyo. She is a famous creator and teacher of Hawaiian Quilt. 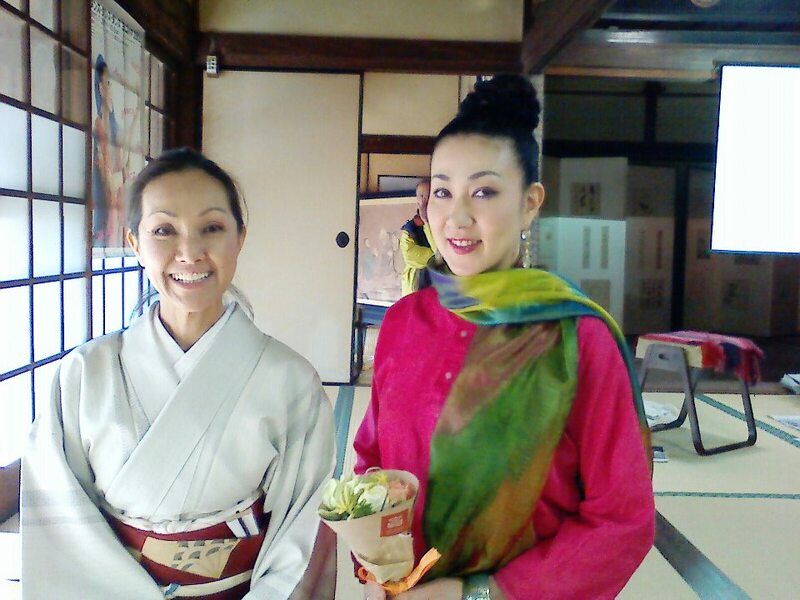 Ms.Takahashi and Mako met at the Hawaiian Hula Dance Class. Their daughters were taking lesson of Hula then. Ms.Takahashi introduced beautiful work of Hawaiian Quilt for mother. Those three beautiful ladies, it is hard to believe she is a mother!! Mako is knitting pretty flower for the Wedding Dress for her daughter Ema. She was invited to International Quilt Festival in Tokyo DOME in January2013. She is going to introduce her handmade craft, including this wedding dress as a one of the special corner with another famous singer or actress. She loves HAND MADE ! 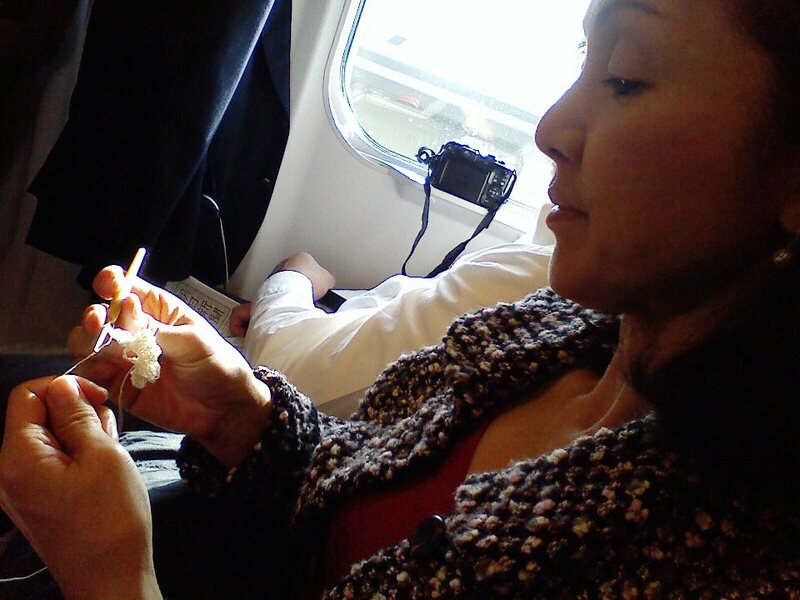 She enjoy knitting in the Airplane , train, everywhere!! Have you ever heard the word Sashiko? Mako is a Honor Citizen in Yonezawa city in Yamagata Prefecture. She visits Yonezawa city to support their event in occasion. 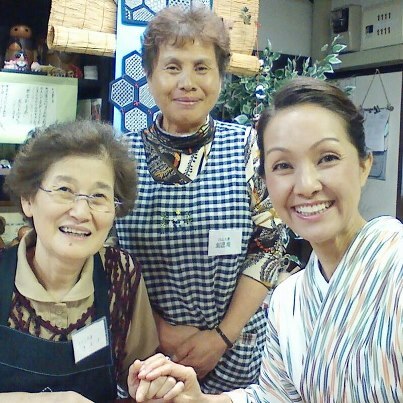 She visited Ms.Kiyoko Endo, Sashiko Master . Sashiko is the wonderful needle work to make cloth hard by cotton string. Sashiko is a traditional and distinctive form of embroidery characterized by running stitches ("little stabs") typically in white thread on indigo-blue fabric. Originally used by Japanese farmers to quilt together several layers of fabric for warmth and durability, sashiko patterns are increasingly being adapted as decorative elements in contemporary designs and needlecraft projects. - from the book "Sashiko Style"
Sashiko is a wonderful women's art living in the cold, snow country like Yonezawa. 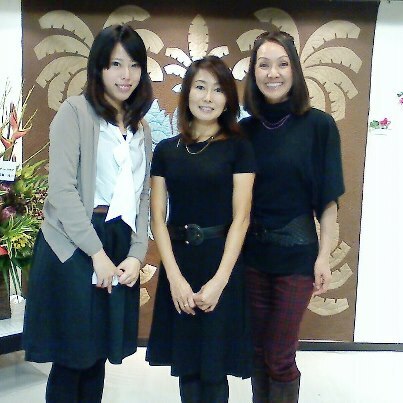 Ms.Endo(Left) and her assistant Ms.Kato(Center) and Mako. 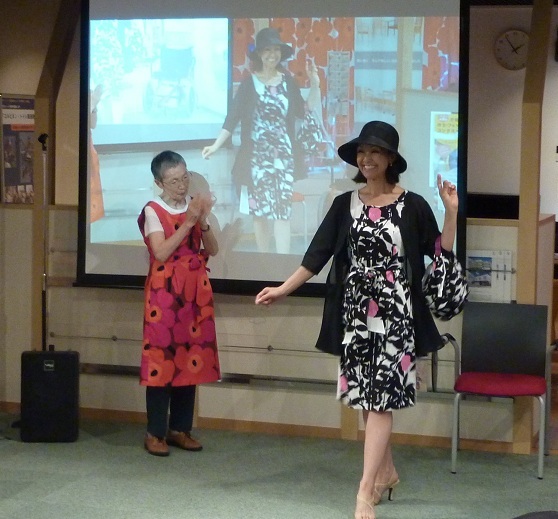 Ms.Endo's Sashiko Showcase has a lesson class to experience Sahiko for the tourists. Aubergine Project was made to support women's dream. The first project of Augergine is "Universal Wear by Ms.Akiko Takeda". Ms.Takeda lives in Sendai City in Miyagi Prefecture. Sendai city experience the Earthquake last March 11. Mako and I started the Project "Cyber Tanabata Festival " to support the people in Sendai. Sendai is the famous for its beautiful Tanabata Festival in August. Mako became a president of Cyber Tanabata Festival at the Sendai Finland Wellbeing Center.She introduced Sendai through internet Ustream Channel of Broadband School Association(NPO) in Tokyo. Mako wore the cute dress designed by Ms.Takeda. She has been own her beautiful dress shop in Sendai and making a beautiful dress in order. But she found the provided clothe from Hospital she stayed, was not comfortable for the patient. After the surgery, everyone has a trouble to put on and off the clothe by themself because of the pain . Mako's dress is pretty and easy to put on. Photo by Sendai Finland Wellbeing Center　R&D Unit. 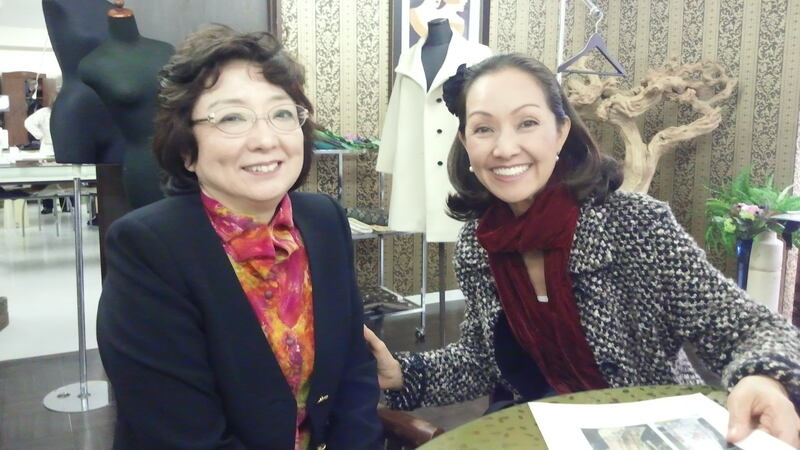 Ms.Takeda and Hariu Communications collaborating to promote the new idea of Fashion Life from Sendai City. Hariu Communications is a wellknown multimedia service industry in Sendai. They have been supported the Sendai Seniornet Club activities for many years and many other people who need technical support to participate the cyber world.